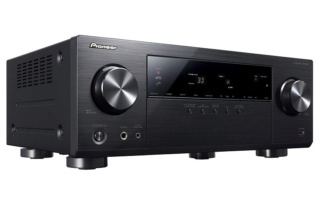 Pioneer VSX-523-K 5.1Ch AV Receiver Brand New. Continuing to lead the way in Apple connectivity, the VSX-523-K's front USB input now supports music playback and control for the new iPhone 5 and iPad mini. 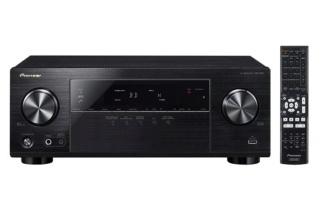 The VSX-523 effortlessly brings all your entertainment sources together. Plug in a thumb drive into the front panel USB port and play back all your favorite music files, like MP3, WMA and AAC files. 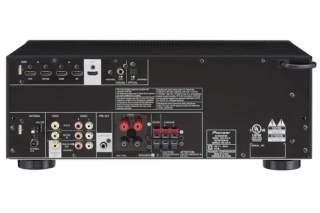 The VSX-523-K features four HDMI inputs, providing connectivity for all your sources like Blu-ray DiscTM players, cable boxes, and gaming consoles. All four HDMI inputs support both 3D and new 4k Ultra HD content. Convenience features, such as, HDMI Standby Through is also supported allowing for your sources (cable box etc.) to pass through the receiver to the television even when it is in standby mode. When you’re ready to upgrade your sources, so is the Pioneer VSX-523-K. 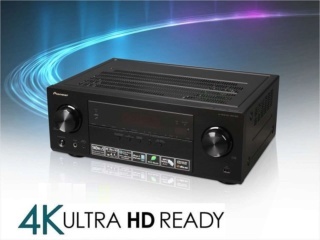 The VSX-523-K supports the latest high-definition audio formats like Dolby TrueHD and DTS-HD Master Audio to give your Blu-ray Disc soundtracks unsurpassed audio quality. Pioneer also includes all Dolby and DTS surround formats best suited for the wide variety of available entertainment sources, including online streaming services, such as Netflix and Vudu .